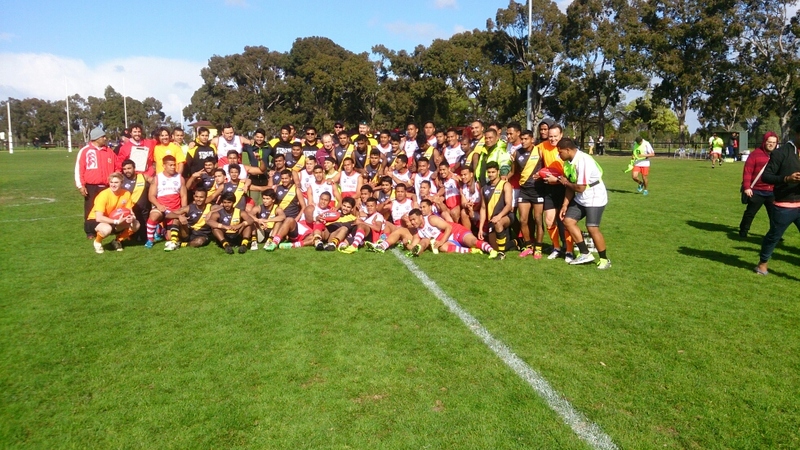 It was an icy Melbourne morning to kick off the International Cup. 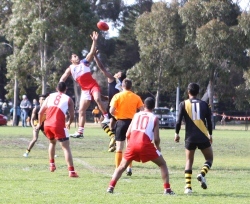 Tonga was scheduled to play India at Ransford Oval (Royal Park, Parkville) in one of two mens matches launching the 2014 tournament. The early start on a Sunday refused to deter the fans, with a number of early risers by the boundary, supporting both sides. National anthems were played and Tonga performed their war dance. India managed the first Inside 50 of the match however was unable to gain clear possession and Tonga was quick to move the ball into their half. After two missed attempts, Tonga kicked the first goal of the match. From the onset, Tonga was able to impose their larger bodies on the contest, with Indian veteran Vishnu Rishie taking a hard hit early. By the end of the quarter Tonga had managed three more goals, whilst keeping India scoreless. It was a scrappy first few minutes of the second quarter, however Tonga soon found their form. 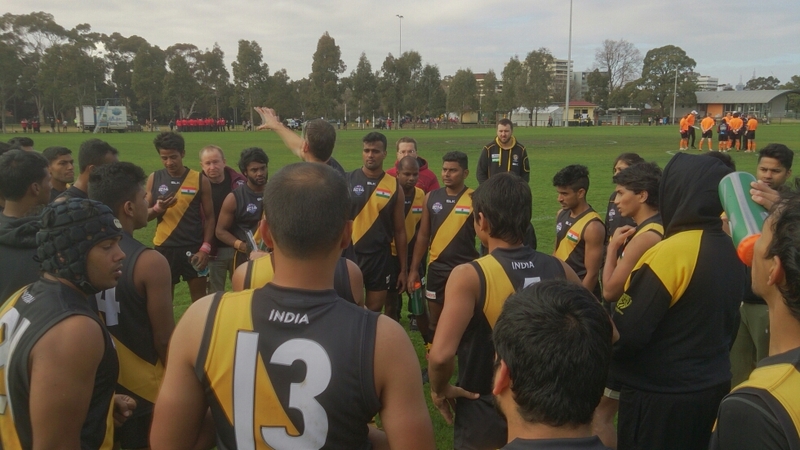 After an initial missed attempt, they kicked three goals straight. A mark on the goal line looked like adding another goal to this tally, however the kick went astray. At Half Time Tonga held an impressive eleven-goal lead and India was still yet to score. Tonga continued to improve in the second half, kicking nine goals against decreasing resistance. A number of Tongan players displayed flair, running around their opponents at set shots. By Three Quarter Time the margin was 128 points. At the final break India’s captain Sudip Chakraborty urged his players for at least one goal. The final term’s first three goals went Tonga’s way but Chakraborty’s players did rally and midway through the term worked the ball into their Forward 50 and kicked truly. It was Tonga’s day however, winning by a margin of 166 points. Both teams were evidently improved since 2011, however Tonga’s players seemed far more comfortable when in possession of the football. Coupled with their speed, larger frames and physical brand of football, Tonga should challenge some of the more established football nations this tournament.